90% of companies seeking money from banks are turned down. These people must find capital for their businesses, and YOU can be in the business of solving this problem! Global Financial Training Program is a leader in the business of successfully putting people in their own "Commercial" Financial Company. We teach people how to arrange loans to businesses who need money to grow. We provide outside sources for that money, meaning you don't have to go through us. We arrange pre-approvals so large lending institutions are willing to provide you with unlimited capital for your clients. We show you how to do this completely risk free while getting paid up front by these lenders. We show you how to get customers. We give you everything you need to get off to a running start. 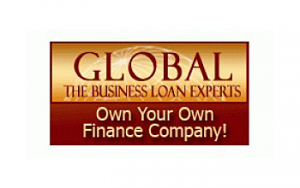 We provide live leads of real people on the phone ready to discuss obtaining a loan. The commercial finance market is a trillion-dollar industry serving an estimated 30 million businesses. What you do in this industry is fill a critical need between the large institutional lenders and the 30 million small businesses that need money every year. Unlike banks, large commercial lenders in this sector are able to finance 50-70% of those businesses. Put simply, you say yes when banks say no! We put you in your own commercial finance company as a key part of the commercial lending industry. For more than 200 years this industry has continually grown regardless of economic conditions because it is able to approve loans to businesses that need money to survive and grow. You make fees by simply arranging loans to businesses that need money. You get those fees immediately. These large lending institutions provide trillions in financing every year and pay people just like you fees of up to 15% of the loan simply for bringing them the client. You are paid at the time of closing; even if a client defaults, you keep your fees. We give you a full page of tools on our website to get started, like your own Internet site, a company identity program, marketing materials, forms software, a full training program, professional certification, training materials, lender materials and again - much, much more. We provide real life training. Nothing textbook about it. That's why we bring in lenders to meet you in person or teleconference. Ongoing Support, No Extra Fees, No Royalties, You Work for Yourself. We've been in business for 35+ years and we have dealt with just about any issue that comes up. We are here every business day to help you grow your business. Your success is our success. Our training program allows you to hit the ground running. We do not take any fees or royalties. What you make is yours. Act Now! Request information now to learn more.